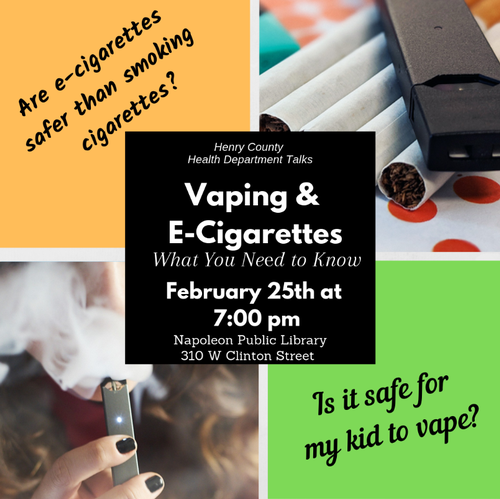 Henry County Health Department will be at Napoleon Public Library in the Adult Department to discuss Vaping & E-Cigarettes and the impact on your health and your kids' health. Join us as the Henry County Health Department presents a talk on Vaping & E-Cigarettes. They will answer questions like "Are E-Cigarettes safer than normal cigarettes?" and "Is it safe for my kids?"